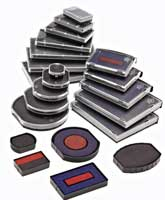 COLOP quality replacement pads for self inking stamps - guarantees a perfect and clear print. Replacing the self inker inkpads is simple, clean and quick. Choose your replacement ink cartridge by the code of the self inker. If you are unsure of your stamp model, remove the ink cartridge and check the reference number embossed onto the ink cartridge. Only original COLOP replacement pads for the portable Pocket Self inkers guarantee a perfect and clear print from the first to the last imprint of the stamp. 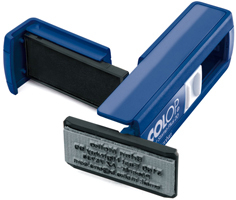 Colop inkpads are available in the standard colours of black, blue, red, green, violet.